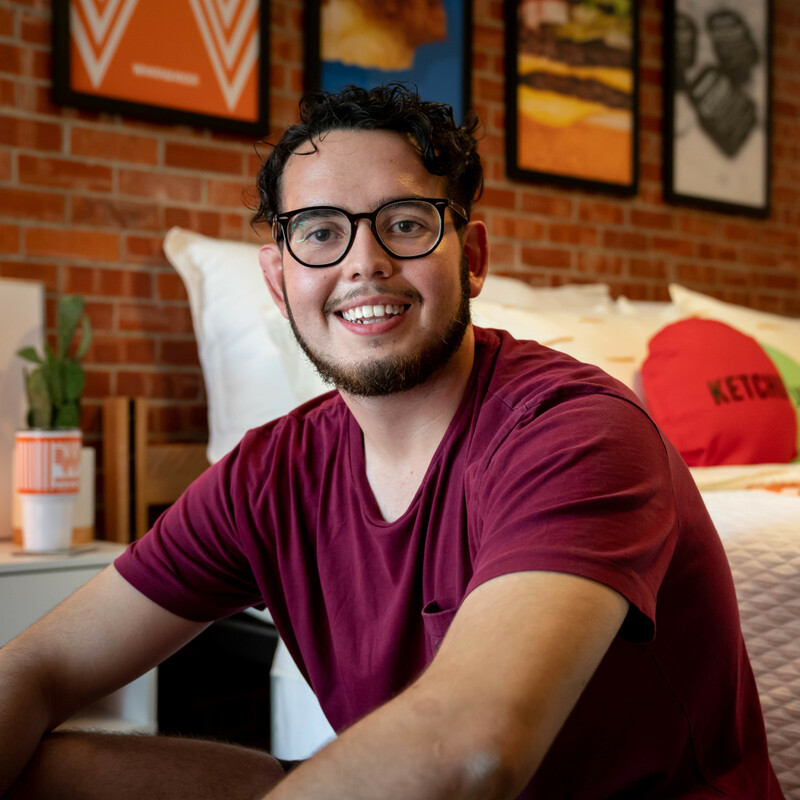 For many native Texans, the orange and white stripes of Whataburger feel like home. 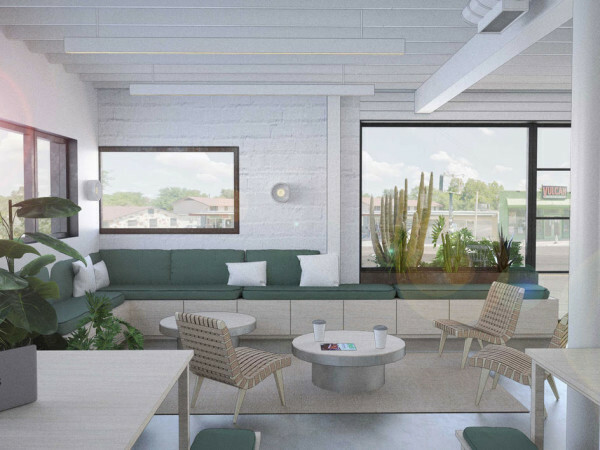 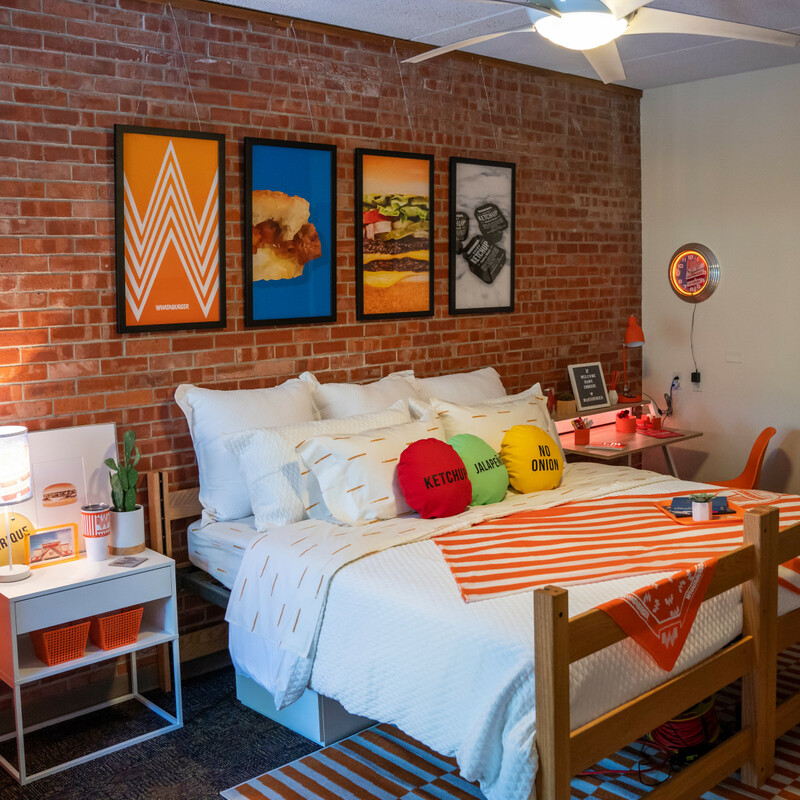 The San Antonio-based chain has taken that to the next level by gifting a Trinity University student with a dorm room devoted to all things burger. 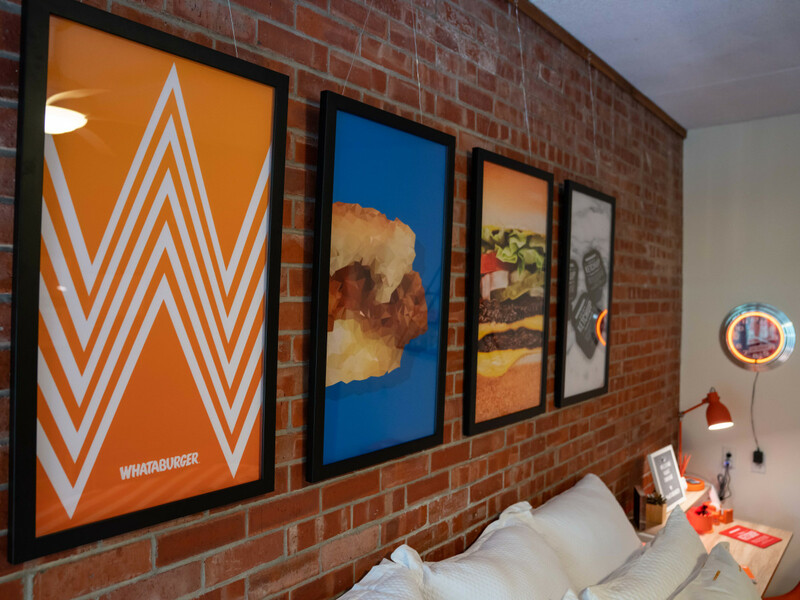 The stylish digs were a way for Whataburger to thank one of its biggest fans, notes a release. 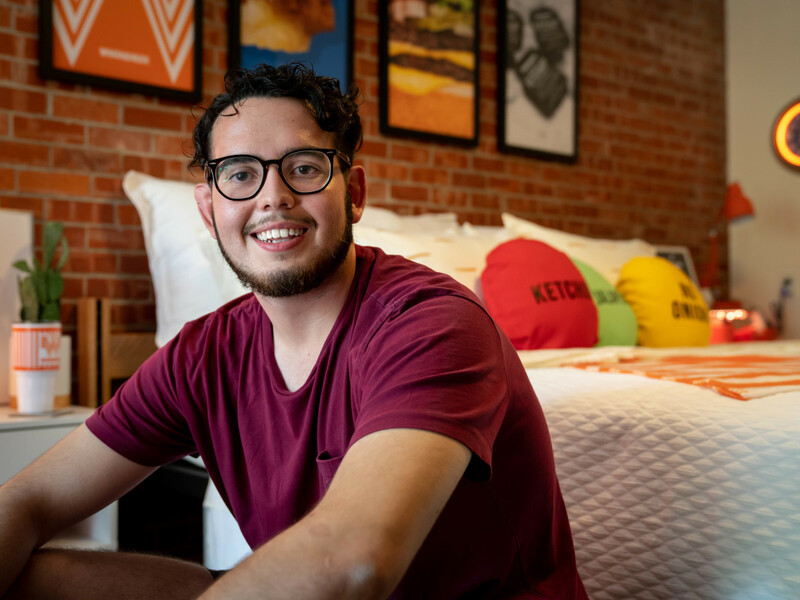 Last year, when El Paso junior Enrique Alcoreza became a resident assistant, he outfitted his hall with handmade logos and signs devoted to the cult burger joint as a friendly welcome to incoming students. 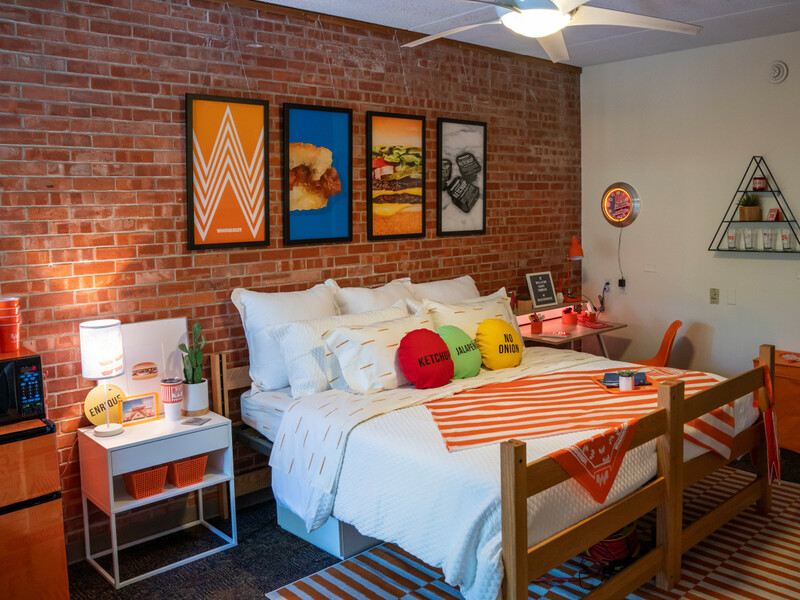 A striped throw blanket and custom pillows, mimicking the dots Whataburger uses to identify custom orders, grace the bed. 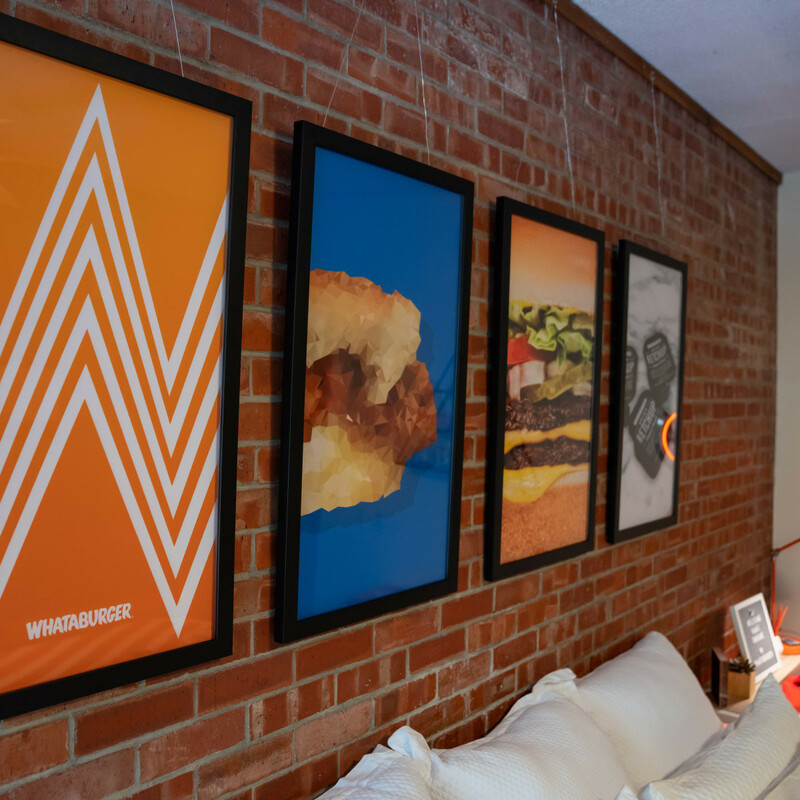 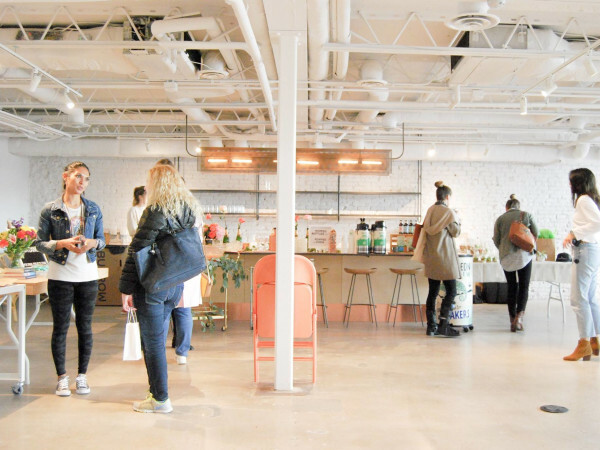 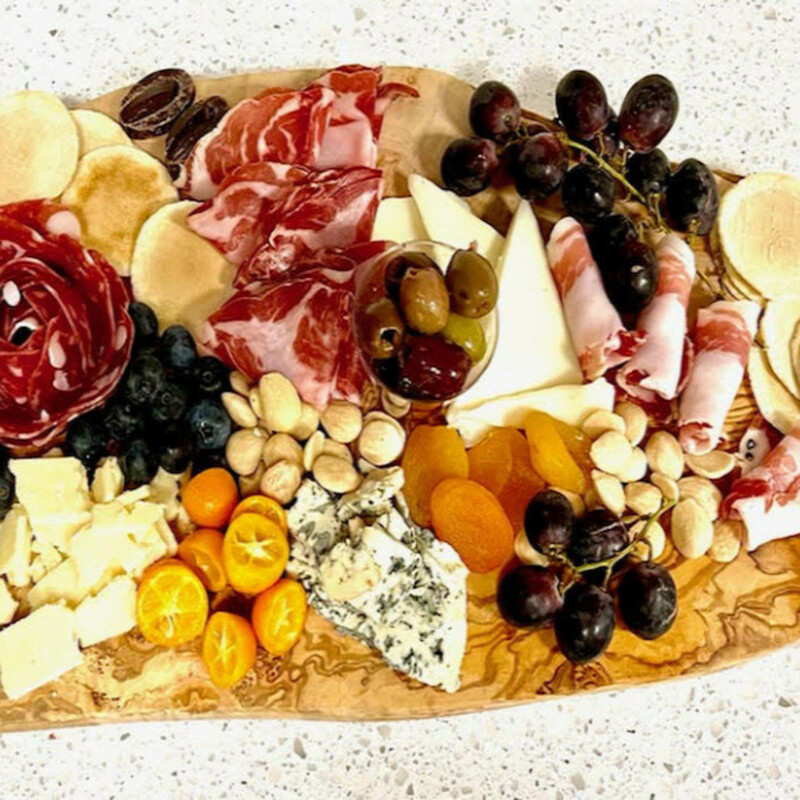 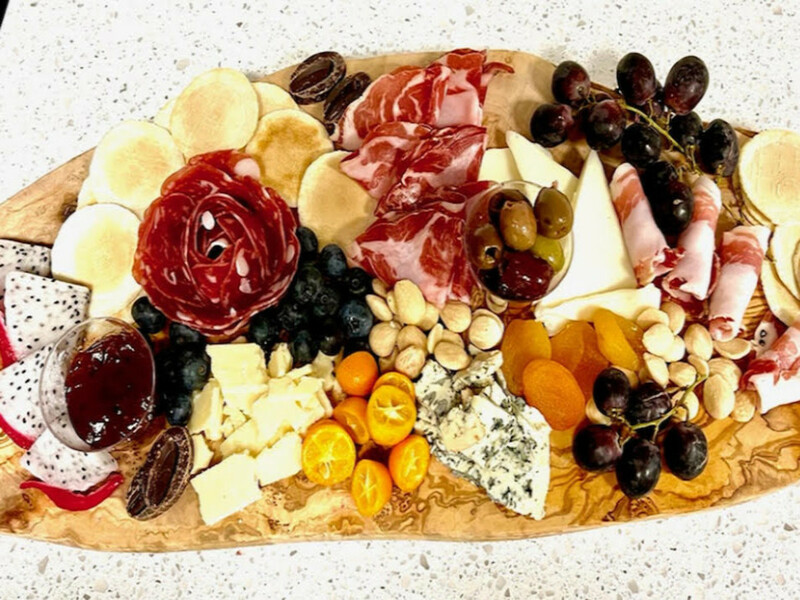 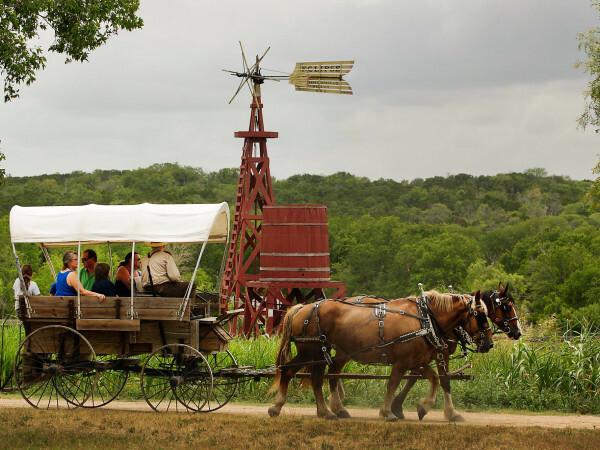 And a collection of art — ranging from burger photos to a pennant printed with an image of the restaurant’s famous A-frame buildings — lend plenty of swag. 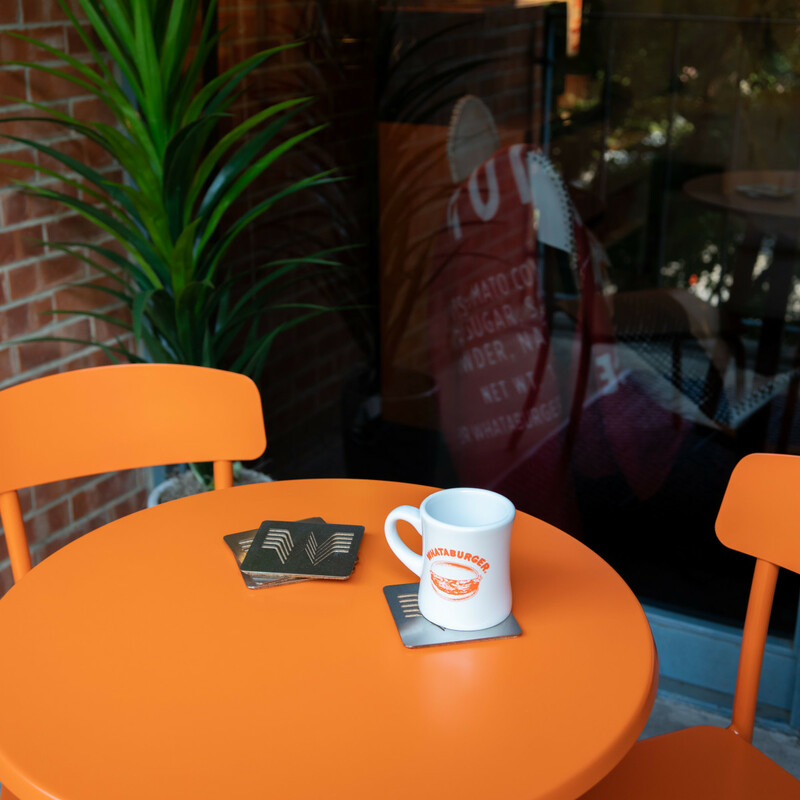 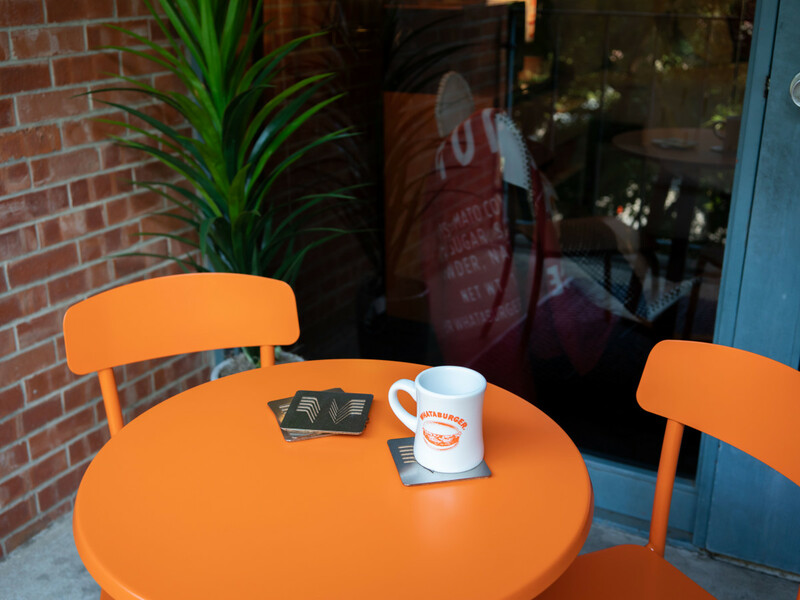 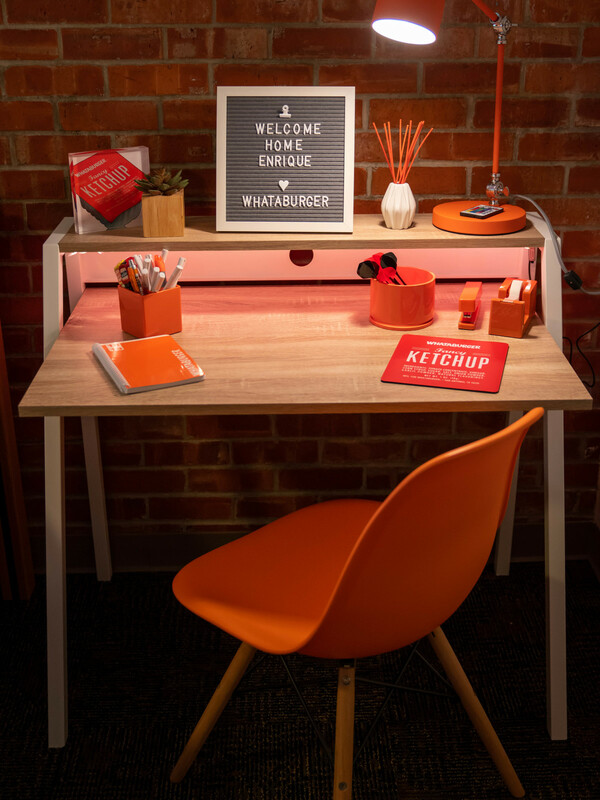 Rounding out the design are choice finds from stores like Target, including graphic, bright orange plastic chairs, lamps, and office supplies, and a marquee sign welcoming Alcoreza home. 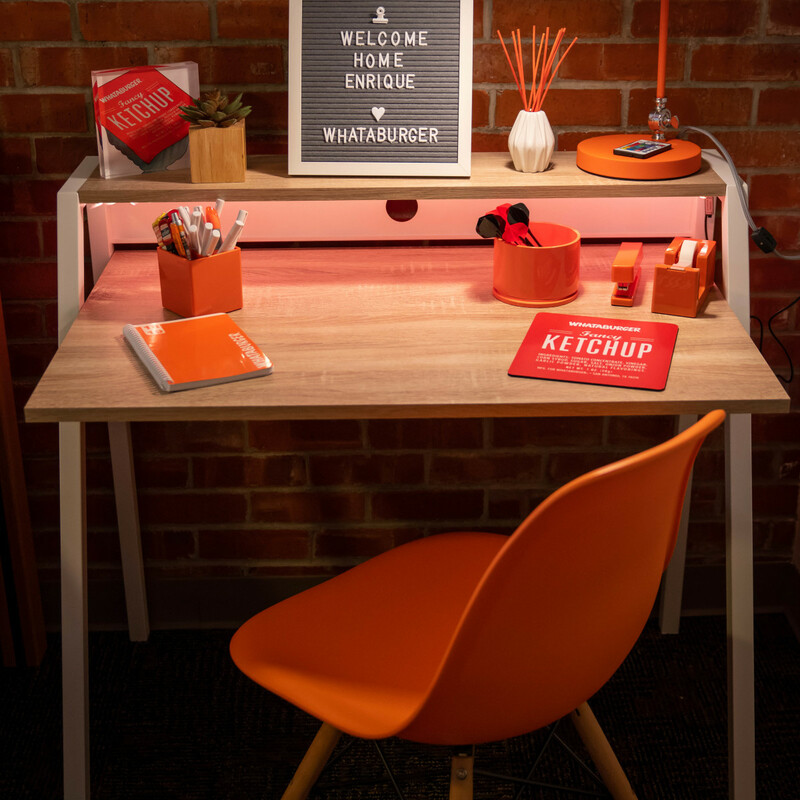 The company even created a breakfast nook, complete with stainless steel and cork Whataburger coasters, for the student. 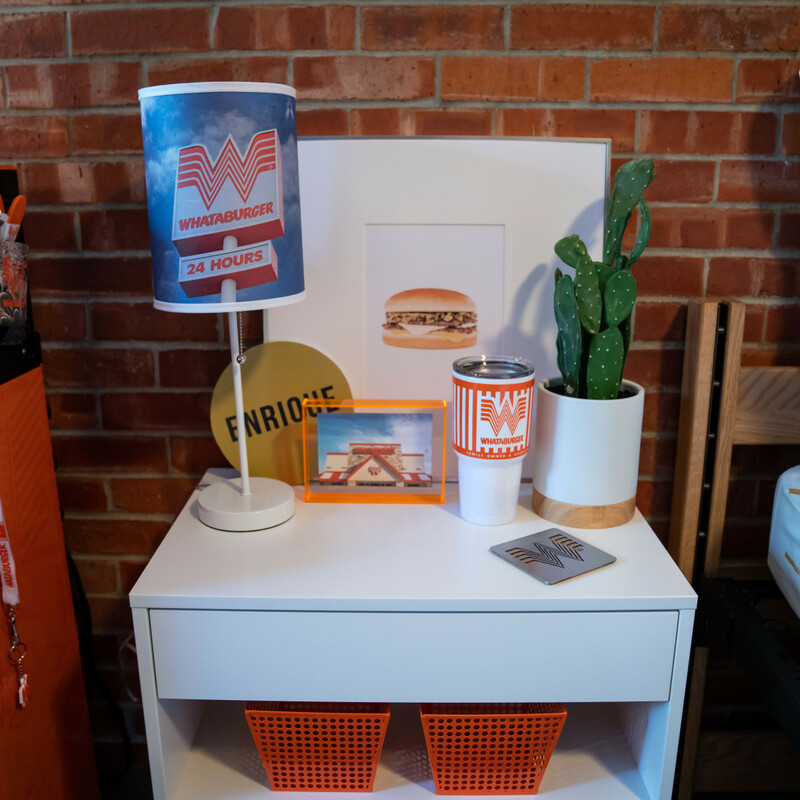 To make the room even more delicious, Whataburger also stocked it with treats from its prepared foods line, including pancake mixes and bottles of its famous fancy ketchup. 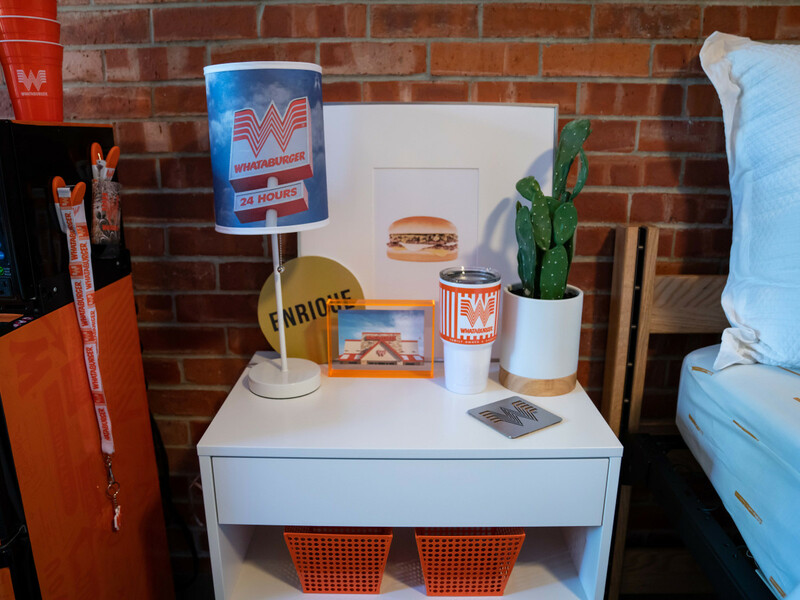 About the only thing that is missing is Alcoreza's beloved Green Chile Double burger, a spicy specialty that is sadly only available in New Mexico, Arizona, and West Texas.